If you’re a frequent flyer or a backpacker that’s constantly on the go, I’m pleased to share a packing product that will revolutionize the way you pack! Take a look at my video review of The Pack – the ultimate backpack organizer that will help you unpack in seconds! The term “backpacking” in this article refers to a specific type of travel such as gap year, career breaks, or other extended travel. It does not have to do with hiking backpacking. Hi guys, this is Alex from Travel Fashion Girl and I want to share with you a quick review on this really great backpack organizer that I am co-launching on September 21st. It’s called THE PACK – a fabulous new travel product to help us pack and organize. It’s great for backpackers and vacation travelers. You can put it in a suitcase or you can put it in a backpack. It fits in a 30 liter capacity bag and it acts like a portable closet. You put all your clothing inside the four drawers and pack it away. When you get to your destination, just take it out of your bag and simply hang it. Use these hooks to place it inside your hotel room closet or if you are staying in hostels in a dorm then you can just put it on the railing of the dorm bed. It’s really handy and makes packing and unpacking a breeze! The four drawers are great, they are extremely spacious, I’m going to give you guys a quick peek right now at the top one. Each drawer is carefully secured with two hooks in the case of the other ones there is also a middle hook and I’ll tell you why in a little bit. Take a look at how much space you have in here; I have actually fit a Maximista size packing list for mixed weather in here, which was great. I was very impressed with that. The top and the bottom drawer offer dividers to help you further organize. The best thing about the top drawer is that if you need more space you simply undo the velcro and flatten the divider for additional space. It’s very well thought out with an organized traveler in mind. The two middle drawers don’t have the dividers; they can open at the top. You can conveniently reach for your belongings when you need to grab something quickly or open te entire drawer to get a better view of your stuff once you’re in the destination. It’s extremely spacious. I have packed away pants, thermals, tops, dresses and my socks and underwear which I placed in the bottom drawer. How awesome is that? You can take your closet anywhere you go without having to worry about unpacking and repacking! If you’re used to staying in hostel beds or in hostels, you know it’s difficult to go through you’re your bag to find what you’re looking for – especially when you are limited to space and you don’t have your own closet or storage. The Pack allows you to simply hook everything out of your bag onto the hostel bed railing and then you don’t have to worry about putting all your clothes on the bed. That’s the fastest way to get bedbugs, trust me, I know. Never put your clothing on the bed in the hostel. I hope that you enjoy this product as much as I do. I’ll be sharing some tutorials about how to pack your backpack with this organizer in the coming weeks so please stay tuned! There are various packing strategies that work for different types of travel. This backpack organizer is fantastic if you’re in and out of hotels and hostels every other night. It’s just easier to pick up and go! What’s your favorite packing strategy or backpack organizer? Share in the comments! What’s the Best Hanging Toiletry Bag for Women? Hope you’ve enjoyed this review on the ultimate backpack organizer. Please share it with your friends on Facebook, Twitter, and Pinterest. Thanks for reading! In your video you promised more videos and information on this product, but I haven’t seen any. Are u no longer affilaited with them? Do u no longer recommend it? Thanks! I am interested in trying it because it is much lighter than the Stow n Go and similar systems. Hi Elsa, I’m actually using their systems in San Diego right now 🙂 they’ve got many new products so it’s definitely time for me to create more videos. They’ve got larger sizes and also more budget friendly items, too. However, my favorite one is still the zippered version. Well thought-out, good quality, and great value! I got one this week, have already packed it for a trip 3 weeks from now, and am so excited because everything fit perfectly(I even have my plane outfit packed)! From now on, if it doesn’t fit in the system, it’s not coming on the trip! Feeling more relaxed about the trip, now I can just focus on the planning and the fun part. Hey TFG, I was wondering if you would recommend this, or the packing cubes? I’m planning my first solo backpacking trip and have a 50L backpack (Osprey, if you must know =P) and wasn’t sure if the pack or the cubes would be a better investment. Hi Sabrina, great backpack choice! Is it a top loader style? This pack looks so amazing. I like to keep things organized when traveling, but tings usually end up strewn about the room. I’m excited about this product! Hi, Alex! I am leaving for a month long trip to Chile and Peru and just received The Pack and will be using it with my Osprey backpack but don’t know the best way to fill it up with my clothes, which will consist of a Maximista packing list. I was trying to find a tutorial but was unable to see anything other than reviews. Any help would be great! Btw, I LOVE your website and blogs!!!! They are revolutionizing the way I travel. This links to your review of the Ultimate Backpack Organizer, but I can’t see anything in the review about how to pack it (unless I’m missing something!) Did you do any other videos about how you would (or have) use(d) it? Not just for backpacking. Works great for “normal” city trips too. I would love to win this backpack for my very first African Safari trip in April of 2016. We will be traveling from resort to resort on 4X4s and this would be the ideal way to pack and travel! The Pack looks totally awesome. I travel a lot and i am always looking for a way to travel light and pack better. This looks perfect if you are going from hostel to hostel a lot like. I would really love to win it bebaute I want to organise my backpack in a better and easier way as I do now. I would love to win this! I see that travel would be more enjoyable with the pack! I would love to win this; it looks like a great way for me to be more efficient with my travel packing. Traveling to Hawaii in several months and I want to pack light. Wished I had with me recently while walking the Camino Portuguese. And just this past week while housesitting. With this I can see everything and would make packing more efficient. I mostly stay in hostels & this solves several hostel challenges. Thanks! This would be amazing for my longer trips or when packing for two on shorter trips! Oh man, I’d love to win this for my upcoming honeymoon in South east Asia. My husband (still strange to call him that) and I want to be as put together as possible while traveling light so we can always stay on the go. My husband and I often takes trips abroad where we spend a different night in each location. This would make that so much easier!! I would love to have one! I would love to win this so I can organize my clothing when traveling! So clever! Wow what a great idea!! This would be great to keep my clothes tidy when I visit my boyfriend. Currently as soon as I’ve looked for anything in my carry-on he comments about my stuff exploding. Again. So I’d be able to organise everything and find things easily. And my super tidy boyfriend would be happy too. Win win!! I would love to win the Pack Gear organizer. I used packing cubes on my last European backpacking trip, but this seems even more efficient. Definitely need one for my next trip. This looks like an amazing packing tool! Would love to own this!!!!! I would love to win this. I travel frequently and love the idea of just pulling everything out of the bag and having in all in one place ready to drop back in the pack. A portable hanging closet. Love the product and am curious how it would work for the business traveler. My wife and I frequently travel back and forth between our city and seaside homes. We have a tiny car, which must hold all our stuff as well as our two furry children (meow, woof). I am not a light packer. However, after losing my luggage on my way to Italy, forcing me to wear the clothes I flew in for two weeks, I have seen the error of my ways! Now I only fly with carry on luggage. This pack would go a long way in helping me organize, and I can throw out the old cloth shoe rack I’ve been using. We are preparing for a trip to the Galapagos. I’d love to take this pack with me when we go. I’d love to win this organizer! traveling is my life, when I finished one, I start dreaming about the next one. And I have my Bday in one week, so it could be double fan to win it! It spacious and has all I need to pack my travel things! I’d love to have this so I could finally succeed, not just attempt packing organization. Looks like a great organizer. I would love to travel lighter with everything easily reachable. We like to sail and the boat never has much space in the closet. Love reading your tips and the new products you bring to my attention! I always pack suitcase or backpack well for a trip, but once I arrive at my destination the contents explode out of the bag and I live out of a mess on the floor. This organizer could keep my gear off the floor and wrinkle free! Oh my word, The Pack looks fantastic! I would love to win this for my husband, who travels regularly and needs an easy, non-fussy, way to stay organized. This product looks like it might be the answer. Thanks for the opportunity. The pack would be a welcomed addition to my travels. I am traveling more since my husband died and I’m continting to look for ways to pack more efficiently and compactly. I like the idea of opening the pack and having everything in its place. Packing and unpacking or scrambling through my suitcase every day is one of the things I hate most when travelling. This would be so much easier! I would love to win the pack. As a reformed over packer I love the ability to have everything organized and easily accessible when I travel. The pack will make the too long unpacking process easier and allow me to get out exploring that much sooner. I constantly search for ways to make packing easier and more efficient. This looks like it is exactly what I need. This is amazing! I would love to win one because I spend a lot of time camping and off-roading. The collapsible kitchen table we have has a sturdy bar across the top the we clip wet clothes to when they’ve been washed after getting all muddy. This would be great to use on that bar when finding clothes for the day! This would make backpacking so efficient and organized. I think I should get one for my boyfriend too! I feel like this could be a definite game changer!! I would love to win it! I swear by packing cubes, but the hanging feature would totally make my many hostel stays easier. Far too many bed bug incidents, and way too many hostel stays where mine and other peoples things are spread out everywhere. I have a long term trip coming up and am envisioning myself packing using this 🙂 thanks for being my packing inspiration for multiple trips now!! This looks like a fantastic organizer! It would really come in handy for my trip to Italy next April! Love to win The Pack for my 16 year old daughter who jets off on a year long European exchange in January. Being a teenager & living out of a suitcase, I shudder to think how she will be able to find anything. This would be the perfect solution as she could transfer it straight from the suitcase to the next hosts closet. Her own mini wardrobe ready to go! I think this organizer looks amazing! I have always wished for a carryon suitcase that was set up like vertical drawers. It would be so much easier to find everything. I have done a lot of tours where I stay in one place for two nights, so it would be so amazing to take out the organizer and just hang it up, like a mini closet. I have used your packing lists as an inspiration to pack lighter. Keep up the good work! This would be perfect for the trips I do where I do a portion of the trip camping/hiking and the other with city sightseeing. It would help organize the very different clothing needs! I would love to have this type of organizer when I travel! I go so many roadtrips that organization is essential. This would make life so much easier! I am about to have my first trip with a carry on sized backpack. I am intrigued by your pack as it looks like a great way to keep everything organised. It would save so much time. Love this idea. I am into organizing and this system would work for me. This looks like a great bag for organizing gear even during the travel process instead of just when you start traveling! What a wonderful design concept! I can definitely see how helpful this would be in getting and staying organized. I want to win this for my daughter who loves music festivals, especially Bonnaroo! This would be ideal! I only wish I would’ve discovered this before six weeks in SE Asia!! Two words: next time!! Need this in my life! Well organized, easy access, lightweight, even color choice!!! What more could one ask for??? What a brilliant idea! I would love to win this because I’m an emerging opera professional. It would be amazing to be able to routinely pack for performances efficiently!! I’ve just got back from a 6-night, 3 city trip to Europe and my wardrobe fitted in a cabin bag and WORKED, thanks to finding your site!!! What a great way to stay organized. I live out of my suitcase when I travel and every time I need to get to something it seems I always have to unpack almost everything so I’m constantly re-packing – this would allow much easier access with less packing and unpacking all the time. I would LOVE to win the PACK! I am forever packing and repacking to find the shirt I want–invariably it’s on the bottom! I am eager to have organization when I travel. I would LOVE to win This organizer because reading your website has inspired me to be an organized fashionista that choose essential pieces for vacation! Thanks for the informative review of the pack, I think it would be so handy to have for all sorts of travel and my organizer’s heart would love one! lol I wrote my comment on my phone which I’m still not used to using. It autocorrected my last name Nicole ‘Quesada’. 🙂 I really do want to win the pack to help organize my items when traveling. I use packing cubes but they really don’t help me see my clothes. Love the travel bag. My stuff is always scattered by the end of a travel. Thiswould keep me organized! I want to win this because I plan to spend next spring- summer – fall in a trailer ! I totally need this ! This will be great in my Osprey! This is such a great idea! I am planning my first solo backpacking trip to Europe in Spring 2016 and would love to take this along to help me organize as I travel and hop from city to city! It would make packing and re-packing so much more manageable and would definitely save some time if I were trying to catch a train. I am leaving for a 5 week trip around USA and this would be perfect to not only sort everything out and prevent under packing but also great once the clothes are worn to put back in to keep seperate from the clean clothes if they need a wash. This looks great product I would love to try ! We are about to embark on the adventure of a lifetime. We are both in our 50s and have quit our jobs, to travel for for 6 months or so., longer if the money lasts! 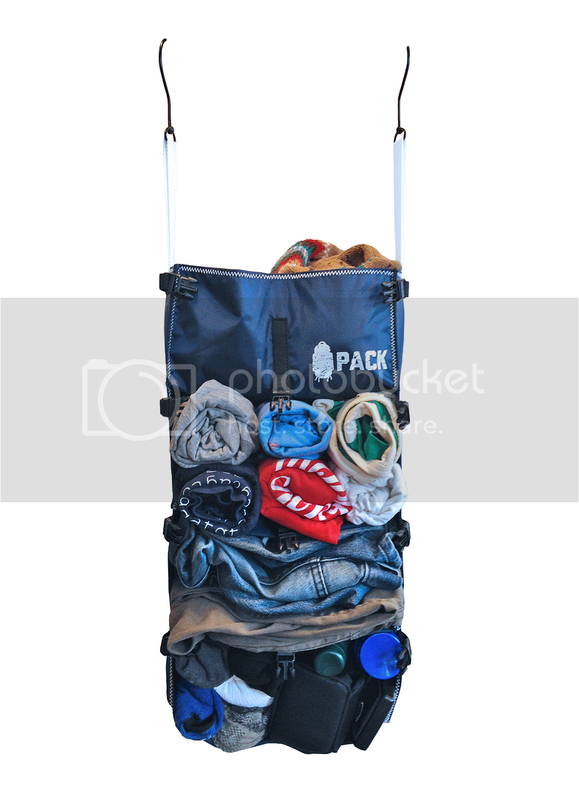 The Pack Gear organiser would be an awesome way to keep our gear sorted on the road. Love this, could really use this for my upcoming trip to spain and portugal. It will help me pack and travel with just a carry on. I would be over the moon to win this…how great to be so organised that I could arrive at my destination grab it out of the bag,hang it and get out to my real intention of travel…meeting the locals,seeing the sights and making precious lifelong memories. This is amazing! There is nothing more frustrating then living out of a bag (well – more like an exploded bag) when I’m staying at a place for longer then a couple of days. I’m headed back down to Puerto Escondido in January for a month (+) and this will be amazing to have in my room!!! This would be the perfect gift for me, i took the decision fews months to travel around the world 🙂 During my trips, i always dream about the perfect bag, but this is THE element for having it !! I really like the look of this. I don’t want to spend time organizing my luggage whenever I move on. It looks like I could keep it organized, know where everything is and pack up quickly and efficiently while I am travelling. More time experiencing travel, less time sorting out my stuff! This will be awesome for my upcoming 3 month trip to New Zealand. Will definitely help keeping me sane whilst staying in hostels. Love it! I can use all the organization/packing help I can get when it comes to traveling. Love the travel idea. I have always packed a cheap, lightweight shoe holder to hang in bathroom when staying more than a few nights at the same place. I’d love this travel back pac – I’ve recently taken your advise on the cubes and they worked great on my trips through Italy and France . This looks even more efficient ! We have 4 kids and we are traveling half of the time. It could be Africa, Austria, the hunting camp or grandma’s. This pack would be a game changer! Great idea for organizing your things for a backpack or suitcase. I am the worst packer ever! I literately want to pack my whole closet….I recently have just joined travel fashion girl and this site is going to change my whole travel life I know. The knowledge and tips that i have already received is amazing. The travel pack is another product that I can’t live without! Im loving that women from all over are able to visit and share ideas! Thank you! This packing organizer seems to be the perfect item for me! It seems to be multifunctional– at home and while traveling. It’s the right item to prepack to avoid overpacking. This means that all essentials are always ready to go!! Thank you for such an ingenious idea!! What a great idea! I’d love to win this and give it to my daughter, who shares my love of travel. This looks fantastic! I absolutely have to get one to help organize for my hiking of the Ice Age Trail here in Wisconsin. I just finished a 5 day, 60 mile stretch, and I was constantly digging through my duffle bag for my individual zip loc gallon bags with socks, shirts, under, etc. Thanks for a great item–it would be sweet to win! As a lifelong overpacker, I’ve been looking for something to manage my tendencies. Ever since you’ve written about THE PACK, I’ve had my eye on it! Next year, we’re going to Japan that goes from cruise ship, to Japanese inns, to private homes, and city hotels all within a three-week period. I need to do all this with a smaller suitcase that carries all that I need in a compact, organised, easy to access manner and THE PACK fits the bill because we’ll be using crowded Japanese trains, taxis, buses, and walking a lot. I’m almost 70 and this trip is a big event for me and my 88 yr. old Mom. We Seniors need THE PACK to make life simpler for all our traveling needs! Organization is the key to my sanity. P.S. A friend just introduced TFG to help with our planning and i have spent the last 2 days jumping from link to link and learning so much. Thanks a bundle for the valuable advice and ideas!! I would love to win this item! My wife and I are planning to do a RTW trip next year and this would be perfect! I would love to try this! It definitely sounds like a game changer. I pride myself on my amazing packing skills but I never saw anything like this before. Love how compact it is. I travel a lot, several times a year around Europe and America. I usually stay at different places and use different bags, backpacks, suitcases, etc. I always used to over packed the suitcase. Since I found out about this web site, I have been doing much better with packing all necessary things. I learnt a lot but there are things I still want to improve like my packing skills and knowledge. I think this The Pack Organizer will help me a lot and will improve my over packing dilemmas and make easier and more comfortable travels. I would love to win this awesome packing piece. My husband and I travel on long trips, especially cruises. I think this piece would really add a positive to my packing skills. This looks so amazing! I am getting one because it will make my packing & traveling so much easier & more enjoyable! What a neat product! I like that it has so many pockets and you can hang it up somewhere with the hooks. This pack looks awesome! In a few months I will be traveling to New Zealand for about 6 months, I have been searching for the right luggage to take with me. This pack would be perfect for me to stay organized while on the road and staying in many different places! Seriously, The Pack has answered my packing prayers!!! What an amazing idea! I would love to give this to my daughter as a gift . She has two little children and this would be great to organize all their things . Wow, I love this idea! I feel like my stuff is always such a mess because I live out of my suitcase every time I travel overseas, but it’s usually with my kids, too! This would really help me to organize our things at least for a few days at a time. Would be a nice addition to weekend trips, too. This seems like a badass product and I would like to try it out for myself! I would love to win this because I pack weekly to go to my weekend home, and I travel for vacation several times a year as well. I am always on the lookout for things to increase efficiency with packing and this looks like a great way to streamline! This would make travel so much easier specifically unpacking. I could take it from the suitcase and hang in the hotel closet. This is an awesome way to packing. I could see using it on a cruise! I am always solo traveling internationally and almost always only take a backpack. This would help tremendously with reducing space and the need to “repack” every time I change locations! What an awesome concept! This would really help with my business and leisure trips. I love being organized. I even have note cards listing outfits, jewelry, accessories, and shoes in my travel bags. Hi TFG, I would love to win this pack, I travel a lot and this pack would keep my stuffs well organized and easy to pack and unpack them, it’s really useful for multi city trip, when you are need to change hotels, I have packing cubes, but I should organize and reorganize them after each use. Really this pack will be a great item to my next trip to Spain and Portugal. DESPERATELY NEEDED! DID NOT GET ONE WINK OF SLEEP THE NIGHT BEFORE MY LAST TRIP DUE TO DIFFICULTY PACKING. MISSED OUT ON SOME PLANS THE FIRST NIGHT AND MAY HAVE LOST A FRIEND DUE TO NEEDING TO SLEEP! REALLY NEED TO WIN! I do a lot of international travel for field work to remote places. I would love to win the Pack Gear – it would fit perfectly in my current backpack and would save me from reaching around in the bottom of the pack to find something. What a cool concept! Thanks so much for your website and all your hard work. I recently found your site and your packing lists and advice is my go-to place before travel! This looks like such a great product. We’re traveling to Italy with my teen sons next summer and it looks like such a useful way to organize their gear! This organizer looks great! My first thought was that The Pack might work in my suitcase as well as my packpack… I was thrilled to read posts from readers who have had success using the The Pack in a suitcase! Thank you for continuing to bring us such amazing travel solutions and for inspiring me to pack smarter! This looks like a travel packing game-changer! I travel so much and bounce around from place to place frequently – the fact that this cuts down so much on re-packing is amazing. I am recently retired so my travel is decidedly long term and pack light. I love my Osprey Backpack for my month in Italy rambling around the Southern part. What a coup to win this “dresser” to bring my packing and unpacking to the next level. Travel in style and comfort, no muss no fuss. I need this. I want this. My backpack is dreaming!! Planning to visit my daughter while she is doing her study abroad in Italy! Definitely can use this organized easy way to pack and travel. Less is more and eve better when organized! I purchased a Pack the first week they were available and love it already! I want to give to my favorite co traveler. This would be very quick to just pick this up out of the suitcase and have all the underwear, socks and other clothes in their “drawers”. It would definitely keep the place less cluttered. The Pack sounds just like I need for a trip to an island for a race! I can separate my running clothes from my street clothes in the top loading drawers and then pop it into my suitcase. When I arrive I won’t have to unpack everything to get my running clothes out. I am very excited to get one for my vacation travels! You might call me a packing tool collector! This would really make a lovely addition to my bunch. Would be great to try something totally different than my current methods. I LOVE the thought of not having to repack everyday! What a great idea! Similarly, I’ve used an Ikea net closet organizer when on a ship going from St. Petersburg to Moscow. I didn’t pack in it, which is a great feature of this product, but used the net closet organizer to organize my stuff once on on board! This would be perfect for my upcoming Africa trip! Wouldn’t it be amazing not to have to repack each day?! I think so! We move a lot when we travel! Think 2.5-3 week trips and moving every 1 to 3 days. I actually lost a night gown last trip because I forgot to pack it after using it! I wasn’t sure where I have to leave a comment, so I will leave my comment on both posts. We have one frequently travelling person in our family and that is my brother. He travels a lot for his business so I think it would be a nice gift for him. Great idea! This is something that will save us packing time on family vacations so we have more time to enjoy our destinations. It will also keep clutter to a minimum in hotel rooms if we don’t have clothes spread out everywhere! I want to in this for my husband, the best travel buddy on earth, but my having this would be a definite win for HIM! Wow! Great organization for many types of packs.. As a single parent backpacker, this would be good for keeping my stuff, meds etc. separate and easy to find instead of everything being mixed in with my daughters stuff! Great product! I like to say I’m basically lazy, so I make everything as easy as possible. But really, I like to be as efficient as possible. The Pack Gear Organizer looks like the way I would pack, but with the efficiency of a closet. What a great idea! Would love to try this out on my next trip. This looks like it would make packing and packing for the journey back so easy. I can’t wait to get one. For some reason, my previous comment didn’t post. I can’t wait to try this out for myself when mine arrive~! Thanks loads, Alex! I love my backpack for shorter trips, but I usually just shove everything in. This is a much more elegant solution. Looks like a great idea. i would love to try this out. Soooooo practical. Exactly what I need as my next trip I’m planning to trying hostels for the first time in Italy!! This is such a great idea. I’m such an organization freak so this would perfectly fit my travels. The cool thing about it is that works both for long and short travels. Awesome product! i like that this is designed for backpacks. Travel cubes are not always the most efficient shape for use in backpacks. This would be great for my quick trips to see my family! The ability to unpack quickly so that I can enjoy my time elsewhere….fabulous! This would be very handy when travelling or when moving between places a lot like I do. I would really love to win one of these organizers! I think it would be prefect for all types of packing, and not just backpack travel. What a simple way to unpack – just hang the organizer in the hotel closet! I don’t backpack (yet), but can see great possibilities with this travel item! I always have to dig everything out, slinging stuff everywhere, and then I cram it all back into my suitcase. This would help so much with organization. This looks like just the ticket to make travel with 2 young boys a ton easier! The Pack Gear organizer is a wonderful idea! It will make packing and traveling so much easier. My boyfriend and I have both left items in hotel drawers and closets. The Pack will keep my belongs consolidated, which is essential when traveling. Thank you for designing this amazing tool!! That looks amazing! I just got back from two weeks in Europe and that would have come in handy!! This is such a genius packing tool! It would save me so much time unpacking/repacking my suitcase when I travel for work and play – just hang and go! I like packing cubes, but this item seems way more convenient and easier to use. Can’t wait to check it out in person! The Pack looks amazing! It would simplify my packing life immensely! This looks like a great packing tool. This item looks like one of the best travel inventions in a long time! I would love to win the Pack Gear Organizer from Travel Fashion Girl, because it would simplify my travels enormously. I always try to travel carry-on only, and this organizer looks like it would be ideal to corral and organize a myriad of clothing and accessories into a small carry-on. Additionally, it sounds as if it would seamlessly transition into the closet at the destination, leaving more time for important things like sight seeing and excursions! 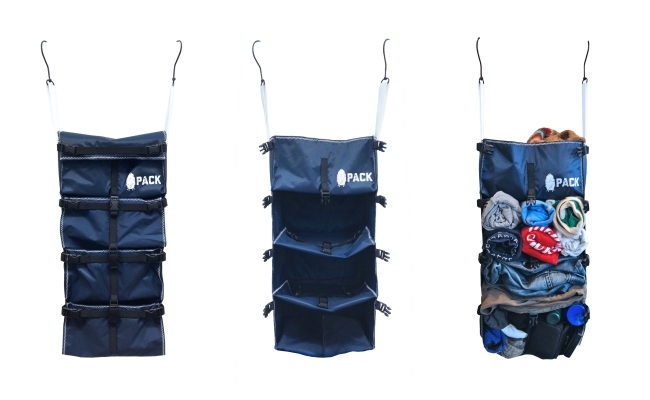 Not only would I like to win the Pack Gear Organizer for myself, I would be glad to advertise it by word of mouth recommendations, and would probably purchase some as gifts for friends and family if it performs as promised! This looks like it would be perfect for my family! Not just for our traveling, but also for the kids at camp. I see this as a great additional to my traveling gear. The different compartments make it easy to organize items to be able to find what your are looking for. The different drawers can be switched around to keep the clean items separate from the dirty depending on the length of the trip. This is an amazing idea. These days I mainly go on short trips and sometimes it is quite spontanous. The pack would be really good to hold some travel only essentials (and have them organized in my closet) and when I go on a trip I just throw what else I need in and I am good to go. The pack would be a cool addition to my travel luggage. I LOVE the simple organization of this for my own quick travel but also for some of my young clients that don’t believe you can be organized and in a hurry at that same time! Great possibilities here! I would love the pack! As my boyfriend and I are starting to travel more, and lighter! This would be ideal for someone like me who is still a newbie. Such an amazingly awesome design!! I’m slowly learning how to properly pack. Trips to Europe have definitely taught me lessons on why not to overpack. The design of The Pack Gear would be a perfect way to assist me with my overpacking ways!! In a future video would you please show the difference between this and packing cubes? Also would you show how this actually fits into a backpack and other travel bags? This appears to be a helpful packing tool. I love travel organizers and this one looks first class. I would love to win it. This is so awesome for any kind of travel. At the moment I only take weekend trips sometimes as really short notice. So it would be great to have all your essentials ready to go in the pack in your closet and then just quickly add what else you need before you leave. This would also help to organize all your “travel only” items at home. I travel weekly for my work (I’m an RN/Clinical Consultant for Hospice agencies.) As such, I LIVE out of my suitcase. I leave on Monday morning and generally get home on Friday evening – then unload the dirty laundry, wash it, and place it right back in my suitcase for Monday morning. It is stressful to dig through a suitcase daily, and then to struggle to pack it all back up on Friday mornings. The Pack would make my life so much easier with much less packing stress! I would absolutely love to win this! Thank you for the great review and the chance to win this awesome travel accessory! Revolutionary – why hasn’t anyone thought of it before? I want to win the Pack Organizer because every year I travel internationally to visit family and am a mega maximista. Love this!!! I volunteer with the only all volunteer urban search & rescue team in the US. When a major disaster hits any where in the world my team is one of the first on the ground looking for survivors. Our packs have to be & stay organized. My pack not only contains my clothing, but survival gear. This would be perfect! Hope to try it soon! I’ve followed your blog for a few years now and you’ve helped me travel in style… and lightly! Thanks for always trying to make the travel experience better. I’m not much of a ‘back packer’, but I’m always trying to find better packing and destination tips. The Pack looks like the perfect tool to help me organize my travel packing. I wish I had this a few months ago. Would have helped me in packing away all my things easily before I started staying in hostels. Nice and organized just the way I like things. Just got my bag down to 10kg so would have been a great addition. This is a fabulous product. I didn’t know anything like this existed. This would be great for weekend travelers or business travelers also. This pack gear looks awesome. I want to win it too!!! What a great way to stay organized, packing efficiently, and very stylish – awesome! This would help make my packing anxieties disappear! This pack gear looks awesome. What a great way to stay organized, packing efficiently, and very stylish – awesome! This would help make my packing anxieties disappear! I am always looking for ways to streamline and minimize my packing…this looks like a great space-saver/organizer! This would help me to stay organized and not lug so much luggage around while traveling. It would also help me to limit how much I pack. I’d love to win this for my backpacking trip to Thailand! This. Is. Brilliant! It is so well thought out, designed, and executed. I have actually fantasized in the past about something like this while camping, and see so much use potential for all sorts of travel—car camping, carry on-only international flights, last minute trips, weekenders, and more. I would likely leave it partially packed with always-needed items so it’s ready to roll at the drop of a hat. I’d love it, I’m sure! This is brilliant! The design is so well thought out and executed. It looks great for all sorts of travel—backpacking, car camping, international carrying-only flights, and quick last minute trips. I can imagine keeping it semi-packed with some of the “regulars” so it’s easy to grab and go fast. I cruise a lot. This looks like it would be perfect for pre-packing folding items to then hang in the closet on the ship. I would love to win this, because it would be *fantastic* for camping, and all my other backpacking adventures! My Carry-rite organizer has been an integral part of my packing process since my first backpacking adventure. Two decades and 6 continents later, it remains a luggage constant (with a little help from “duct tape”). I want to win The Pack Gear organizer because it seems like a worthy alternative! This may be repetitve, but thanks for sharing all your great ideas! This looks perfect for any type of travels! I think this would be fabulous on a cruise. Just hang it in the closet. I would love to win one! A clever item for the backpack. I hope to win, but entering is not easy. I have always wanted to pack light and backpack a country. This would be extremely helpful in making that dream turn into reality. I have traveled many places for conference and vacation and have always tried to pack as light and as simple as possible. Thanks for the review! I would love to win this as we have been traveling the US for a year in our car and I can never find the items that I want without going through everything! I want to win this awesome product for my month long euro trip in March! Would be perfect! Looks like an item that would save some time with multiple packing/unpacking stops. I typically use packing cubes when traveling for extended periods internationally, and am curious how this would compare. This looks like it will make multi-city traveling a dream. Can’t wait to try one. I LOVE this! What a great idea! We have a top-loading backpack that I hate to toss — this will make it truly functional again. I want to win the Pack organizer so I can find all the stuff in my backpack without unpacking the whole thing. I love this. I would use zip locks and store toiletries too! I am an organized traveler, but I have yet to find a way to mold my husband into one. This “PACK” could be the first step in getting him organized. He literally packs by opening up his backpack and starts tossing things in….makes me CRAZY! Then when we reach our destination, he “makes the room his own”. I am usually wading through his stuff. AND it takes him forever to find anything. This could be the answer for my darling hubs. I forgot to add I want to win the pack because I absolutely want to win this to be organized when traveling! This would be a great addition to my carry-on to help me become more organized. I am beginning to travel more for work and in my personal time and I’m finding that being organized when traveling is a must! I love this pack! I just finished a week’s trip to the west coast using my backpack and this would have been great! Everyday I had to unpack my pack to find what I needed. I travel at least once a month for business and for pleasure and this would help me stay organized. I do a lot of combined work/vacation travel and it seems like the compartments would be great in help me divvying up my clothes based on particular days of travel so I’m not mixing up my work pants with my sundress. I love this item. I like my clothing neat and organized when I travel and this looks perfect for the job. Love how it just slips out of a backpack or suitcase ready to hang up and you don’t have to spend all that time rearranging in a drawer or shoved awkwardly somewhere. This looks like an awesome product for a wide range of travellers! I think it’s a really interesting concept and I’d love to see whether or not it works better than packing cubes in my suitcase and travels.. I would love to be able to organize with this Pack Gear Organizer! I’m always packing way too much and this looks like something an over-packer like me could use. This is clever! This would make my life so much easier for traveling with my one- and three-year-old boys! I could fit a ton of their little things in this (toys included) and it would help us stick to our hand-luggage only rule!! Thanks! Your website and all your tips for traveling light have already been so helpful to me. I was a habitual overpacked for most of my life but you have inspired me to travel lighter. Over the last 2-3 years I’ve gone from two oversized overstuffed suitcases to one carrying and a tote. You know how freeing it is to be more mobile and able to carry your own luggage without assistance or making multiple trips. I”m still a work in progress, on my most recent trip to London for business I still had 3 tops and one pair of shoes that went unworn. I know The Pack would help me fine tune my packing and get me to my ultimate goal of a small carrying and a handbag. I would love to win The Pack Gear organiser because finding anything in my backpack after a couple of days of travelling requires a search and rescue mission. Plus, once I have found it (by turning the pack upside down and simply emptying it out), it will be wrinkly and definitely not look as nice as it did when I put it there. The fact that you can actually hang it up is a brilliant add-on! It’s like having your own wardrobe in a 10-bed hostel dorm. I want to win the Pack Gear Organizer so I can organize all my mixed weather clothing when I go to Patagonia and visit the major cities and hike the W in Torres Del Paine. This should come in handy! Would love to try it! Looks like a GREAT idea…and I noticed ultralight weight! I’d love this organizer since I’m a messy busy bee when it comes to packing. If there’s anything to alleviate my problem, I’m for it. Oh my God, this looks like it’s really useful to any traveler! I’d like to win one because I do travel a good deal of days and it looks like The pack would really help me organize my luggage! This Pack seems pretty ingenious because it’s engineered like a hanging toiletry bag. I’d been using multiple free or old makeup bags to travel with forever — packing the non liquid bag up early and waiting to pack the liquid and/or the make up bag till the day before the trip. For a 19 day trip to Europe I finally bought a hanging bag – a Baggelini which was large & flexible enough to accommodate all of my supplies at the beginning of the trip, and I don’t know how I could have survived without it -most bathrooms had no counter space, and most importantly, I could find everything I needed without wasting time. I could also hang the bag outside the bathroom to prep while my travelling partner was in the bathroom. I’ve just returned from four weeks in South America. Using some of your packing tips made life easier on the trip. I used packing cubes – great sanity savers but The Pack looks even better. I’d love to try it on my next trip. Looks like a great way to stay organized! Especially for traveling with children. All of their things can be kept in one place. Wow! Wish I had this now. I leave on Oct. 14th for two month overseas trip!!! Really enjoyed watching the Travel Clothing Haul! Entering the giveaway with pleasur, cross my fingers! Need it for my son! Since I live abroad, Pack It would make it much easier to stay organized on my trips to visit friends and family. It’ll be much easier to keep my clothes separated from gifts, souvenirs, and things to bring back from home. This organizer would fit my rucksack perfectly! Yes I would like to win and take it on my hikes. There are few things I love more than ORGANIZATION and TRAVEL. Which means I LIVE to pack! I’ve been waiting for something like this for years and years! I couldn’t wait to get this product! So useful and compact! I plan on getting another one for my daughter who travels frequently for business. She’s going to love it! I would love to win this awesome organizer, because there is no such thing as being too coordinated and neat when it comes to travel/packing essentials, and clothing in general. I just received my “Pack” in the mail and can’t wait to use it later this month on a 10 day trip to Michigan. Usually I use packing cubes but this may turn out to be even better as I won’t have to unzip a cube to check for all the contents! I’d love to win the Pack Gear organizer because it’s such a great idea for staying organized while packing lightly. The hanging feature would be so awesome for longer multi destination trips. I hate leaving my clothes in my suitcase at the hotel, but frequent packing and unpacking gets tiresome. Being able to pull the fully packed organizer out of the bag and just hang it up would be so convenient. This pack will be perfect for traveling with my kids, ages 6 and 9. Teaches them to take responsibility for their things and stay neat. Allows me to spend less time tidying up, so we can all explore more. This is revolutionary! I love the idea of being able to organize and then to be able to lift the whole thing out and hang it up. This is a godsend to anyone who has every dug through a bag trying to find a specific item. I would love to win it and I thank you for creating it. I would really love to win this because I’m a scatterbrain, I tend to leave everything on the floor and my room. Or sometimes I just stuff everything in my suitcase. It takes time to fix everything and make sure they fit in the suitcase!! Haha so not only will this save space, but it will also save time and effort for me!! 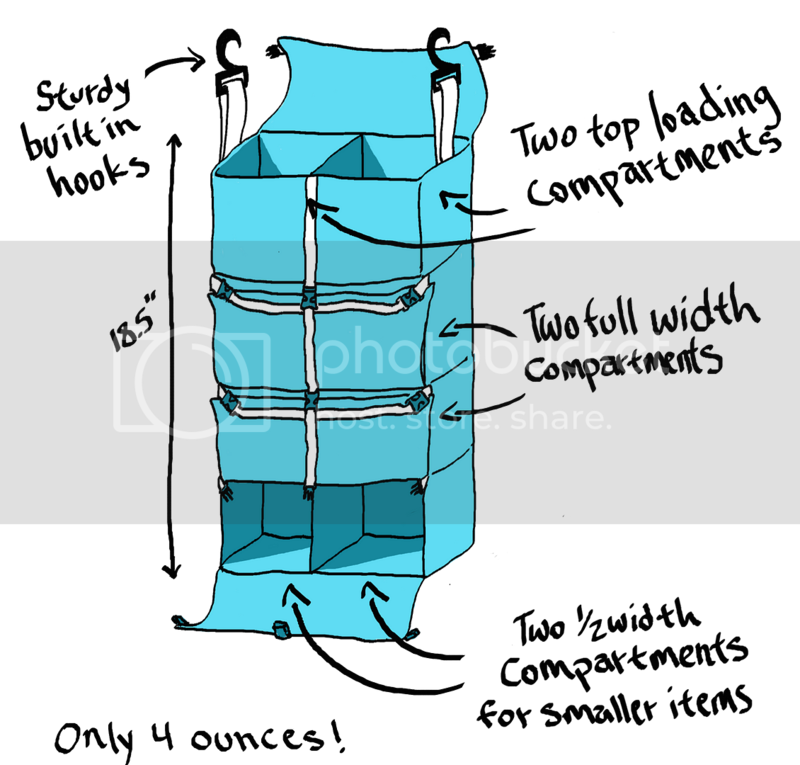 Looks like it would solve all the digging around problems… Would you omit using packing cubes? This looks like a great item to help me stay organized when I travel. I would love to just pull this out and hang it up and have easy access to everything! Looks like a great packing tool! I sure hope I win the Ultimate Backpack organizer. I have learned a lot from Travel Fashion Girl, but I’m not quite there yet! I’m working on it! Oh my! I would love this as I would only have to pack ONCE and that’s it. Plus with all the organization I shouldn’t forget anything behind. What a dream! This would make travel, short and extended, sooo much more convenient! (It would also keep my “frillies” away from wandering TSA fingers.) Thanks for bringing this, and other, unique travel gear to our attention. This is so nifty! It would make my packing a whole lot easier (like it should be). I’d love to win one of these great organisers so I dont spend half my holiday hunting through my backpack for the things I need! This would come in handy for all my work travel. I love the hanging feature! My hotel room always ends up looking like by suitcase exploded! I am obsessed with ‘The Pack’ I travel often and this would be the answer to my packing craziness…. I would love to be able to use this when I send my daughter across the pond for 11 days without me. I thank it would really help a 14 year old stay organized and help keep her anxiety down about unpacking and repackaging multiple times. Perfect for scuba trips! I go on live aboard every time I can. This is a great solution to optimize space and efficiency. Love it. Would love to try this! Absolutely love your website! Your advice was invaluable on my first UK trip! Can’t wait to get back! That would be great for traveling! Organizing for my trip was an issue, but this product would eliminate a lot of stress! This is such a brilliant idea! The worst thing about travelling to a new destination every few days was the packing and unpacking. This would not only make it easier, but probably would keep the clothes in better condition too! I definitely would love to try it out for our next trip! This looks perfect for a trip to Italy and Croatia next summer. We’ll be moving around a bit and I could be more organized with this item. Last summer we traveled 17 days around Italy and I was at my wits ends trying to find things. I would love to win this. It looks like a perfect thing for packing light!!! This is awesome. I would live to have THE PACK. Might even help me stay organized. I going be traveling in Italy for 21 days. The pack looks fabulous! Alex, Congrats on co-launching The Pack! I’m amazed that you can fit a Maximista size packing list because that is exactly how I travel! Just bought a jumbo suitcase today & your product would help me efficiently store the go-to items that we all love; perfect for grab & go. One of my favorite things is the accessibility of the drawers thanks to the thoughtful design and the hangers! I’d love to try it out! I would love to win The Pack Gear organizer. I love the whole concept of being able to just remove the pack and hang it when you arrive at your destination. No unpacking necessary and I can see everything at a glance. I love packing cubes but I believe that the Pack Gear will be an even better packing aid for my travels. The Pack would have been great on my last Trip where I found myself reorgAnizing my case every few days. I was helped a lot by having packing cubes, which I heard of from Alex , but this sounds worth trying too! I want to win the pack gear organizer because I’m just starting out and this is an amazing opportunity to travel light and organized! I have been obsessed with organized packing in a stylish manner ever since I’ve first read your blog. Keep it up girl! I actually ordered one already and will have to wait a long time for it to arive as it will be shipped to the Philippines. A second Pack will be for my daughter who looks forward to travelling as much as I do. This looks like a wonderful product for all kinds of travel. This is best invention for travelers yet. I need 4; one for each member of my family! This will be perfect for my daughter who loves to travel and go to music festivals! I’d love to win this pack gear organizer! With the help of your articles I now travel with just a carry on backpack and this would help organize it on my travels! This looks so amazing! And lightweight, too? So many “organizational” systems I’ve tried that were pretty durable ended up weighing baggage down that it simply got left at home. Love the concept of those compartments that can be immediately visible and yet also protected. Being a visual person, it’s been hard for me to pack compactly but not see where the items I need. This item seems to be a dream! THIS LOOKS LIKE THE PERFECT ADDITION TO MY TRAVEL MUST HAVES! I’M BACK PACKING EUROPE NEXT YEAR AND I CANNOT WAIT! What a great organizer! I love that you don’t need to constantly be packing and unpacking. It looks so convenient. In my never ending quest to pack light when travelling this idea couldn’t be more brilliant. I would love to try this out. I heart and want it! This is amazing for my daughter in college for her room and coming home. I want to win because I am planning a rtw trip for 2017 and this would really help me out with staying organized when packing for it! These look like a great way to keep everything organized! I would love to win the pack organizer! It seems like a great way to limit you supplies while taking a trip. This would be amazing for when I go on vacation to Europe this fall! I like being organized and traveling light, and with this amazing Pack, I can spend less time unpacking, packing and organizing, and more time enjoying my destination! I’d love to win one of these! I think it would be an amazing organizer not just for travelers, but for anyone really. I can see myself using one of these to store my off season clothing more efficiently, with a better use of space, and ease of access when the seasons change. This is a great product. I would like to win this for my husband who travels a lot for his business. Genius! I can manage to pack efficiently at the beginning of my trip, but always struggle to keep things organized while on the road. This pack gear would be a game-changer. I would love to try this out for my next european adventure! You guys, I need to win this for my Spring trip to Europe! I can’t imagine a better product to stay organized! Its spacious, lightweight, keeps my clothing off the bed and leaves my room neat. Looks like something that can really help me with my packing and unpacking. This looks amazing – I’d use the pack to keep everything organized when I need to change clothes (and celebrate the end of the re-packing session at the end of each of my trips)! This product looks awesome and I’ve been drooling over it since Alex first mentioned it on the blog. Being a bit of an organizing fanatic, I really hope I win! I want to win because this would help me put an end to disaster zone hotel rooms and the dread of packing when it’s time to move on! Would also motivate me to finally make the shift to carry on travel. I want to win The Pack Gear organizer so I could pack efficiently on my travels all over the world! at first I was a bit unsure if I wod like this as a backpacker but as soon I saw it hung from a dorm bed I was sold. Such a great idea. I would love to win this for my trip to Norway in July!! I could also use it for the birthday weekend trip to Orlando. Thanks, Alex!! Planning to travel in 3 big trips over.the next year and this looks like a great way to organize.